Nairobi (AFP) - A Kenyan lawyer has offered US president Barack Obama 50 cows and other assorted livestock in exchange for his 16-year old daughter Malia's hand in marriage, a report said Tuesday. "I got interested in her in 2008," Kiprono said, in an interview with The Nairobian newspaper. "As a matter of fact, I haven't dated anyone since and promise to be faithful to her. I have shared this with my family and they are willing to help me raise the bride price," he said. Obama's Kenyan grandmother, who is in her early 90s, still lives in Kogelo, in western Kenya, home to a number of the president's relatives. 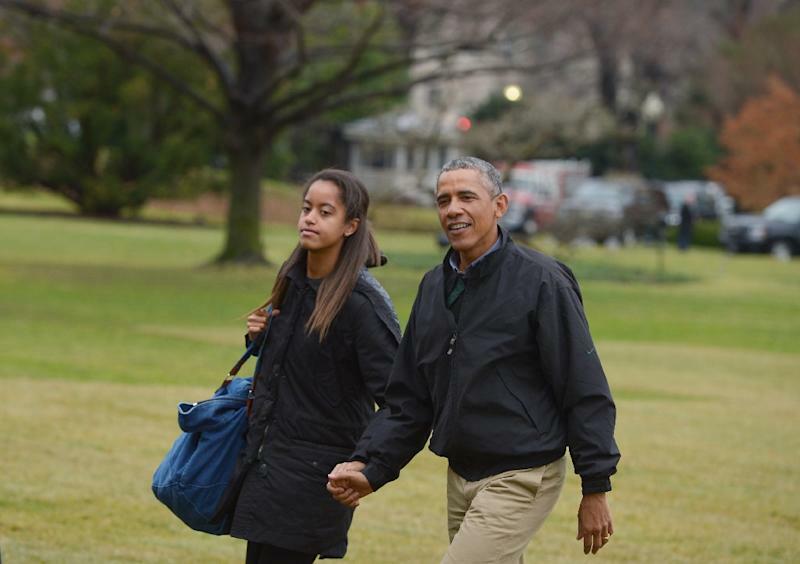 "I am currently drafting a letter to Obama asking him to please have Malia accompany him for this trip. I hope the embassy will pass the letter to him," he said. "People might say I am after the family's money, which is not the case. My love is real," he insisted. The young lawyer, whose age was not revealed, said he had already planned his proposal, which would be made on a hill near his rural village, and the wedding at which champagne would be shunned in favour of a traditional sour milk called "mursik". Kiprono said that as a couple he and the young Obama would lead "a simple life". "I will teach Malia how to milk a cow, cook ugali (maize porridge) and prepare mursik like any other Kalenjin woman," he said.